Our Ford and General Motors armored cars and armored vans are customized to meet your needs. Learn more about our inventory today. Our used prisoner transport vans and used prisoner transport trucks are Ford and General Motors products customized to offer maximum protection and durability. 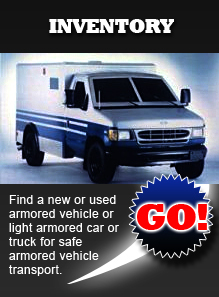 You'll also find a variety of other used armored security vehicles including used armored SWAT vans. The Armored Group is the leading name in armored cars and armored vans. We invite you to discover why. At The Armored Group we are known for our used armored security vehicles. Here you'll find used prisoner transport vans, bulletproof trucks including used prisoner transport trucks, used armored SWAT vans, and much more. 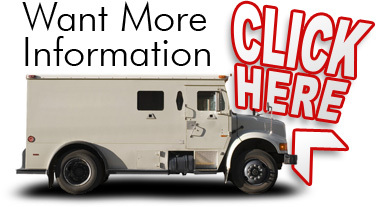 Our armored trucks and vans are just a taste of the countless options we offer.